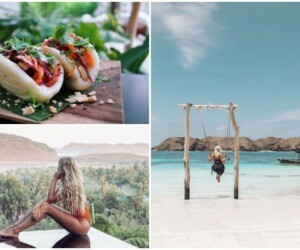 Things to do in Bali this Easter 2019: A guide to the best family brunches, events, egg hunts & more! 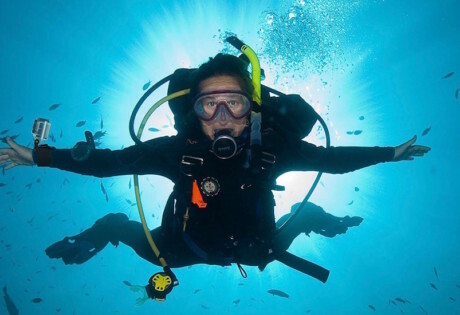 Not sure what to do in Bali this Easter weekend? 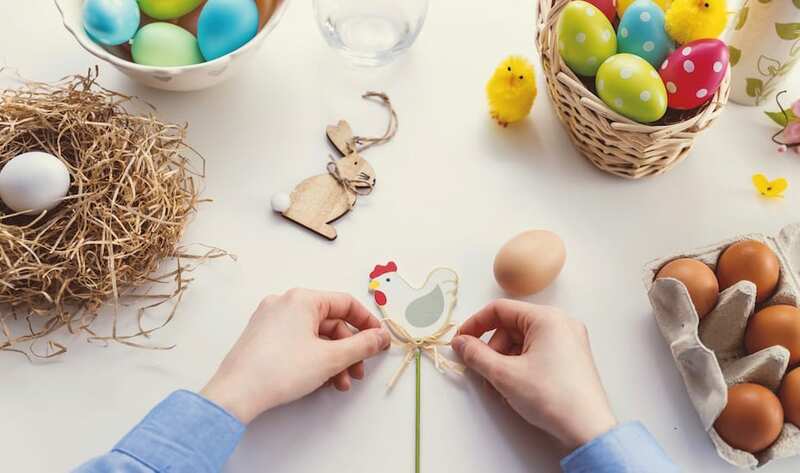 From egg hunts & hot cross buns, to epic feasts & family friendly activities - here’s what’s on this Easter 2019 in Bali. Easter is just around the corner (this year it falls on Sunday 21st April 2019) and if you’re as egg-cited about the holidays as we are, then you’ll already be planning your hopping Easter happenings and long-weekend adventures. 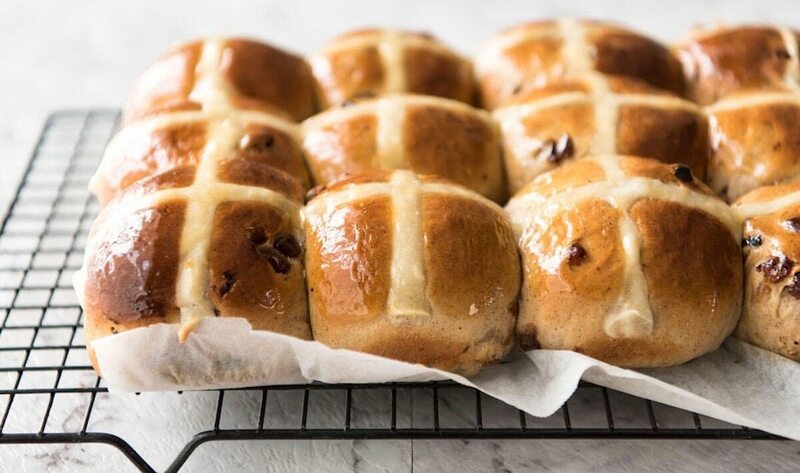 Luckily for us, Easter in Bali is packed full of beachfront family brunches, chocolate-stocked Easter egg hunts and gourmet goodies for the kiddos, and we’ve even found fresh-outta-the-oven Hot Cross Buns too. So without further adieu, here’s everything you need to know about spending Easter in Bali. In true W fashion, this swanky resort’s signature Starfish Bloo restaurant will be ramping things up a notch this Easter with a super brunch! 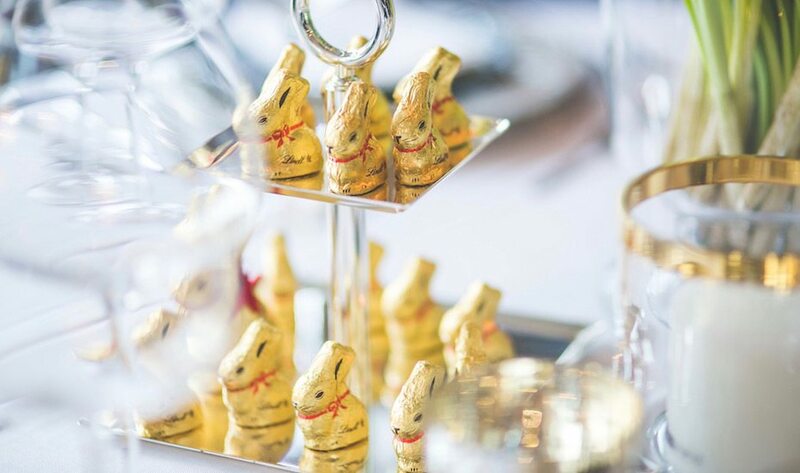 Much like its ever-famous Sunday brunch, there’ll be plenty of gourmet goodies, sweet treats, fresh seafood and bubbles galore – there’ll just be added Easter treats and surprises aplenty to take the Easter celebrations to another level. Price: IDR 965.000++ per person for brunch, free-flow soft drinks and a glass of bubbles on arrival, or IDR 1,615,000++ per person including free-flow bubbles, wines, beers and cocktails. 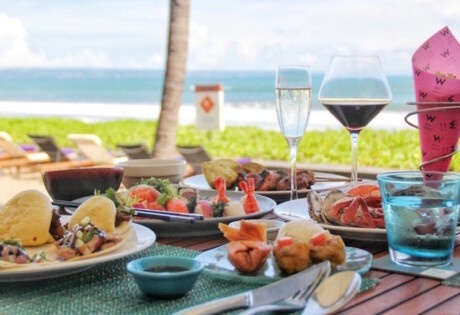 Doing what it does best, Sundara Beach Club is once again playing host to Bali’s longest brunch, set beside the sparkling 57 metre infinity pool with Jimbaran Bay just footsteps away. 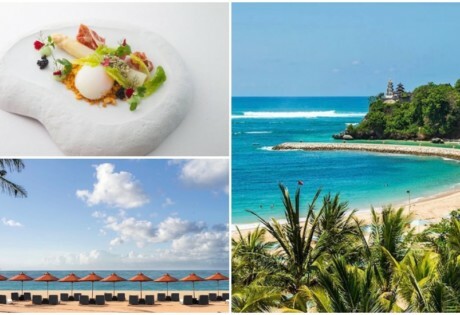 The brunch will feature different cuisines from five different chefs, complete with floating cocktails, live music and chocolate from Chef Yusuke, the World’s #1 Chocolate Chef from the Valrhona C3 Competition 2018. Meanwhile, the kids will be well and truly taken care of at the kid’s club, where there’ll be egg hunts and chocolate painting the whole day through. Price: IDR 650,000++ for unlimited a la carte menu, plus IDR 125,000++ per person for beverage packages. Inclusive of free Kids Club entrance. 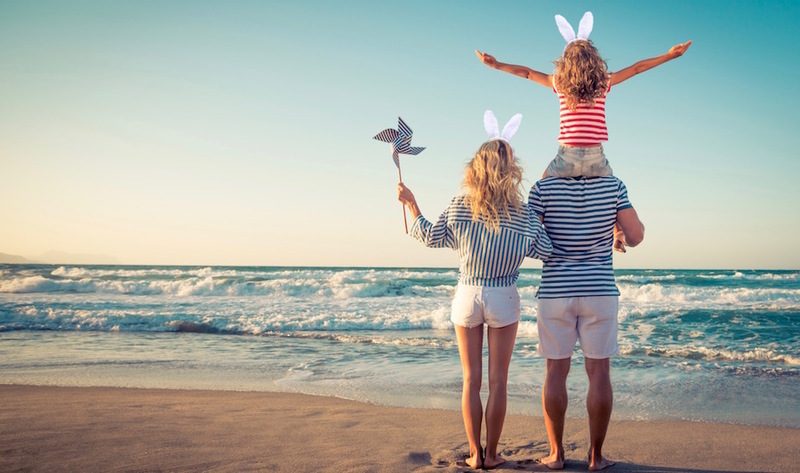 At KU DE TA this Easter, expect family activities galore beside the seaside with the Bali Circus and the big-eared bunny himself, alongside a scrumptious Easter-inspired Sunday lunch featuring barramundi, slow-roast lamb shoulder and a decadent chocolate dessert. There’ll also be a chocolate workshop from Primo – a Bali-based producer of single origin chocolate – plus a soothing sunset session from the “high priestess of soul”, Kylie Auldist. Compared with the likes of Diana Ross, this live performance will perfectly round off the celebrations by the sea. Price: A la carte menu based on consumption. This Easter at Hyatt Regency Bali, the whole family is invited to a very special Easter brunch. Featuring a bountiful feast of Italian and international favourites, there’ll be fresh breads, cheeses and meats, as well as pasta, pizza, salad and gelato. For the kiddos, there’ll also be egg painting and egg hunts in the lush children’s pay area, whilst an acoustic band will serenade this cosy occasion. When: Sunday 21st April 2019, 11:30am onwards. Price: IDR 450,000++ for brunch with soft drinks, or IDR 825,000++ for brunch plus free-flow alcohol. Half off for kids. 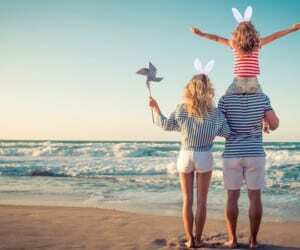 Gather your loved ones this Easter at The Apurva Kempinski, where this hot new resort is hosting a whole day full of exciting experiences. A scrummy Easter brunch will combine a mouth-watering buffet with live cooking stations (hello meat carvery and seafood station! ), while a range of fun-filled activities for both children and adults will keep everyone occupied. Float around in the 60-metre infinity pool, join the egg hunting, or treat yourself to a restorative spa treatment for an Easter well spent. When: Sunday 21st April 2019, 12pm – 3pm. Price: IDR 700,000 nett for the brunch with free-flow soft drinks, or IDR 1,100,000 nett for a free-flow alcohol package. This Easter Sunday, Finns Recreation Club is laying out a lazy-grazey 9 hour-long Easter lunch at Bistro C! Joining the famous Sunday lunch staples, free-flow buffet extra like crispy baked pork belly, slow-roasted tenderloin and seafood kebabs will be laid out all day alongside irresistible festive trimmings – Easter Pavlova and Hot Cross Buns included! Price: IDR 450,000 net for adults and IDR 150,000 for children. Lunch & Splash packages are also available. Sofitel Bali’s ever-famous brunch is being given a French spin this Easter, with the brand new theme, Brunch À la Française. Expect all of your brunching favourites, and in true Sofitel Bali style, the desserts room and Easter specialties for the whole family will be second to none. Price: IDR 699,000++ per person for brunch, or IDR 999,000++ for brunch plus free-flow alcohol. 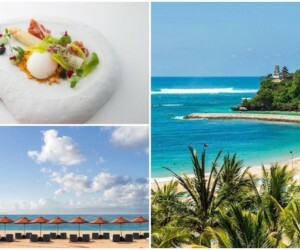 Celebrate Easter in utmost style at The Legian Bali where, on Easter Sunday, an exclusive Easter-themed three-course set lunch will be laid out at The Restaurant, perfectly rounded off with special sunset cocktails at The Ocean Champagne Bar. When: Sunday 21st April 2019, 12pm – 3pm & 4pm-7pm. Price: IDR 500,000++ for the set lunch only. A full day-out for families, Renaissance Bali is putting on a buffet brunch of seafood, roasted meats, cheeses and Asian dishes with all the trimmings, while kids will go wild for the funky donut milkshake bar, chocolate station and desserts room before splashing around in the enormous infinity pool. Price: IDR 450,000++ for brunch only, or IDR 1,000,000++ for brunch & free flow wine, beer & cocktails. This Easter, Feast’s famous market brunch at Sheraton Bali Kuta Resort will be getting a festive twist with a selection of all those Easter favourites (like roast lamb, pastries, and signature Easter cocktails) alongside exciting activities and games such as bunny arts and crafts, Easter basket decorating, egg and face painting, and Easter egg hunting, with exciting gifts from the delicious award-winning farmer-to-bar Krakakoa chocolate. Yum! When: Sunday 21st April 2019, 10am – 3pm. Price: IDR 460.000++ per adult and IDR 230,000++ for children, inclusive of the buffet, free-flow non alcoholic beverages and 1kg of take-home groceries. Additional alcohol packages start from IDR 350.00++ per person. 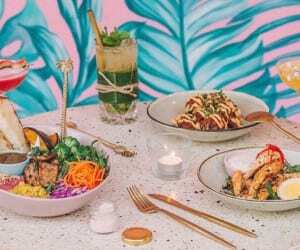 Bali’s delicious Easter brunches are still being announced, but rest assured that we’ll be adding every fabulous restaurant and gourmet brunch here as soon as the details are released! For the long Easter weekend, celebrate in the sunshine at Sundays Beach Club with crystal-clear waters and plenty of fresh-from-the-ocean seafood, (including the Cooked Chilled Seafood Basket for two). Spend the Easter weekend at one of Bali’s newest luxury resorts, because Hyatt Regency Bali has a very special 3-night Stay & Play package for you and the kiddos for just USD 196 per room per night – inclusive of dinner at Omang Omang Restaurant and an Easter brunch – kid’s activities included! T&Cs apply. April marks Mrs Sippy‘s birthday, so expect plenty of parties in the pool over the long weekend. Think pumping tunes, superstar performances and post-party recovery sessions. Mark your calendars, tell your mates, book your flights and get ready for a very long weekend indeed! We’ve said it before and we’ll say it again: Bali’s food scene is right up there with the world’s best. So this Easter, why not add some fancy munching opportunities to your itinerary. From Locavore in Ubud to Sarong in Seminyak, work your way through our list of Bali’s best restaurants. Treat the fam to a Magnifique Easter Getaway at Sofitel Bali Nusa Dua Resort, because this Easter, they have a very special stay package available, complete with resort credit, daily breakfasts, return airport transfers and reduced room rates! Contact them for the full details. Some say that Easter is all about the kiddos, so why not take them to Waterbom for a day of heart pumping splishing and splashing! Voted Asia’s best waterpark over and over, a day here is top notch for families, kids, and adults too! 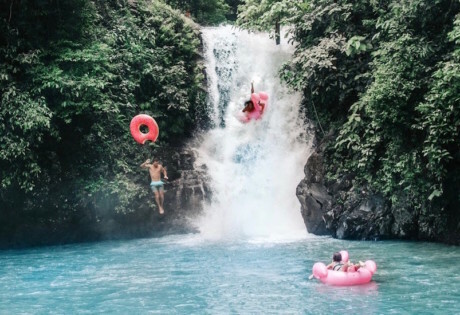 Since we don’t have bunnies hopping around here in Bali, take the kids away from the hustle and bustle of South Bali to the tranquility of the Bali Barat National Park. Here you’ll be spot wild deer, black monkeys and even snorkel at the nearby Menjangan Island – a fab day out for the whole fam. If you’ve ever spent Easter in Bali, you’ll know that the struggle to find authentic Hot Cross Buns is oh-so real. So, last year we hunted down the real deal for you – the kind that are freshly baked, lightly spiced and made true-to-tradition using real butter. You’ll want to get your orders in quick, because these babies sell like hotcakes! Sprout Café: Jl Raya Semat No. 18A, Canggu, e. info@sproutbali.com. Watercress Café: Jl Batu Belig No. 21A, Kerobokan, e. hello@watercressbali.com. Mini Munchers: Jl Raya Anyar No. 30, e. minimuncherbali@gmail.com. Biku: Jl Petitenget No. 888, Seminyak, p. +62 851 0057 0888. Dijon: Jl Setiabudi, Simpang Siur Square A1-A2, Kuta, e. info@dijon-bali.com. Pison: Jl Petitenget No. 19, Seminyak, e. pisoncoffee@gmail.com. Coffee ‘n’ Oven: Jl Pantai Berawa No. 51, Canggu, p. +62 853 3840 4434. 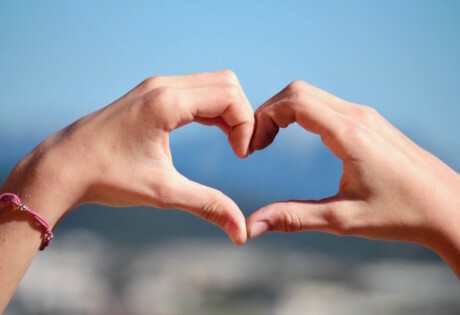 Keep your eyes peeled for more Easter events & announcements – more TBA!